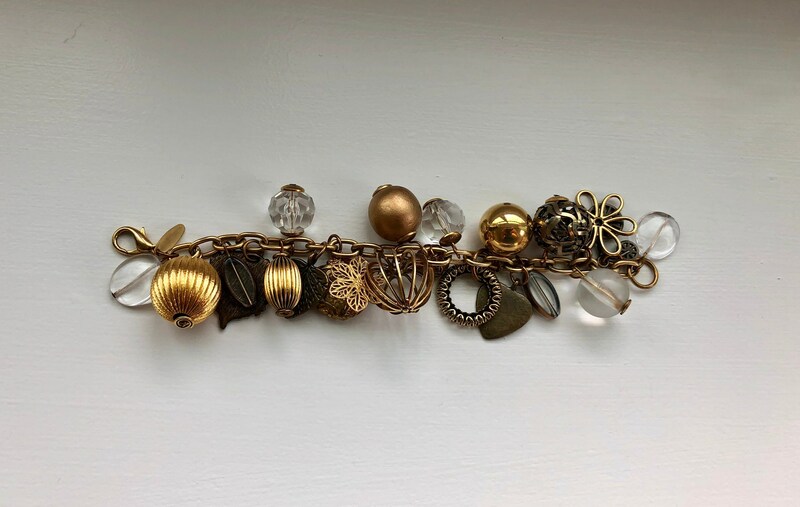 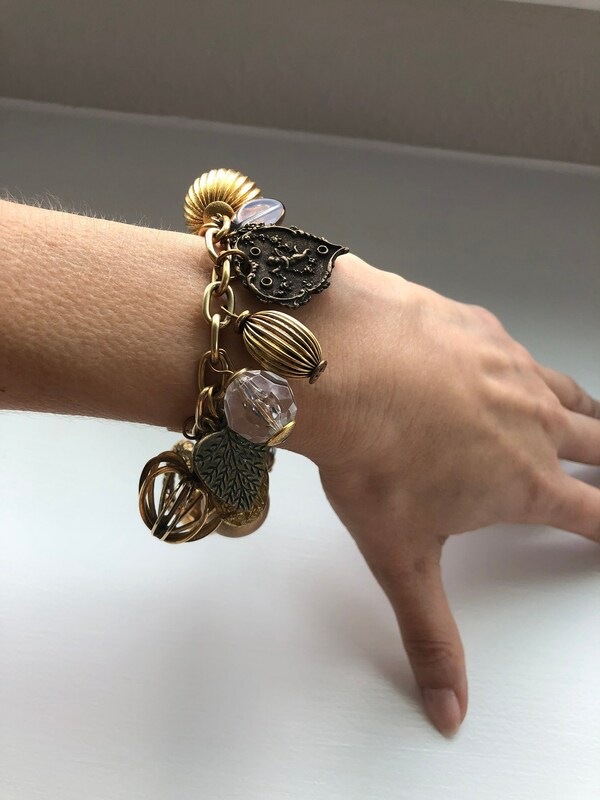 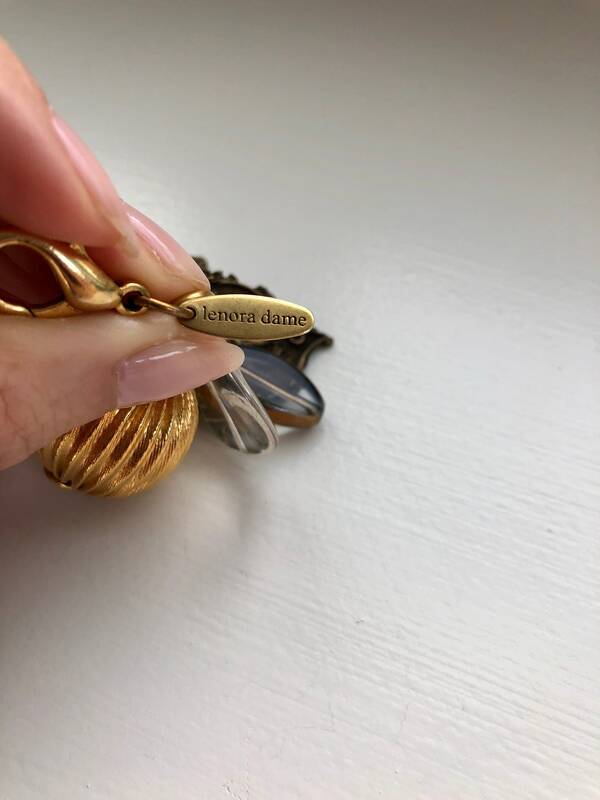 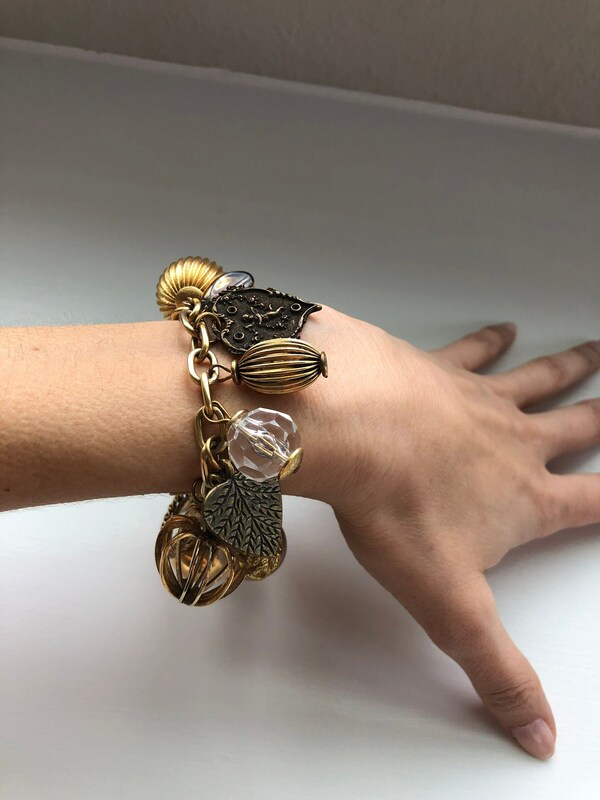 Lenora Dame cluster charm bracelet. 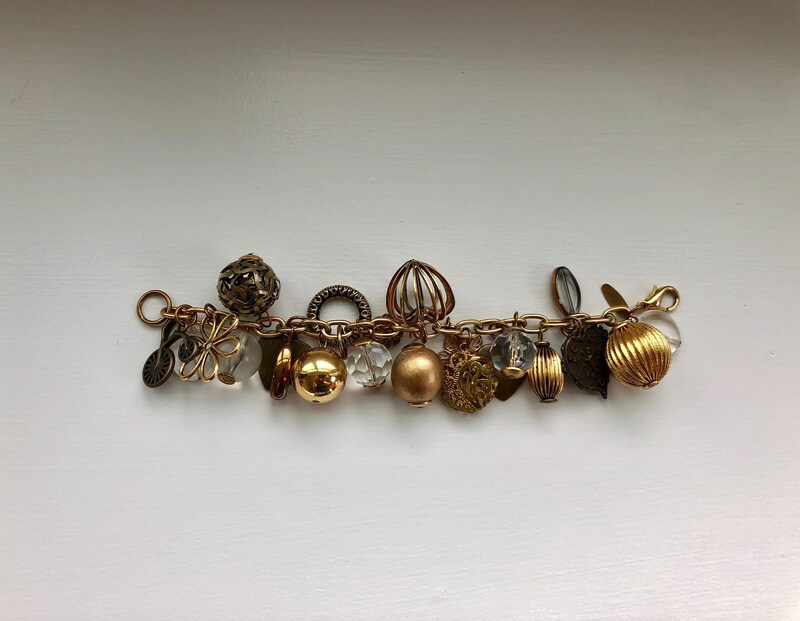 24k gold plated brass bead cups, chain, and details. 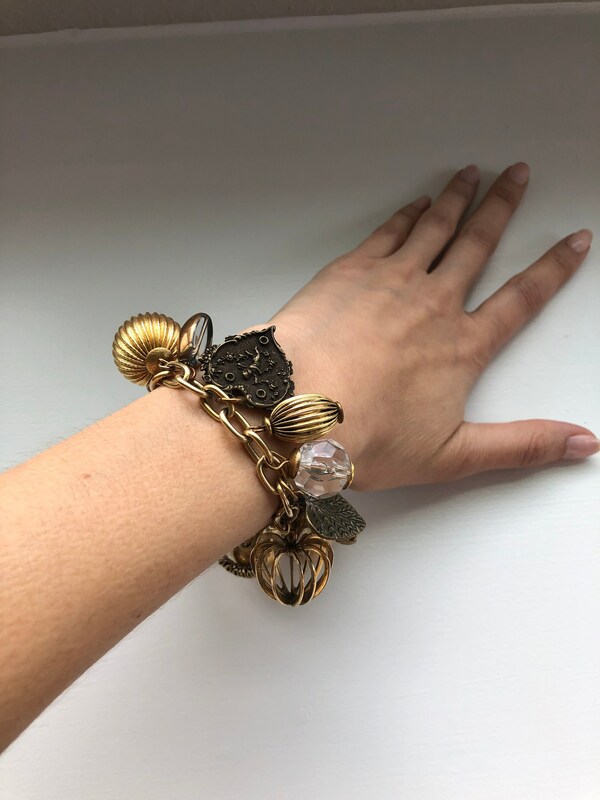 Bracelet measures approximately 7” long, but can be adjusted to a smaller length by using any of the links instead of the jump ring.